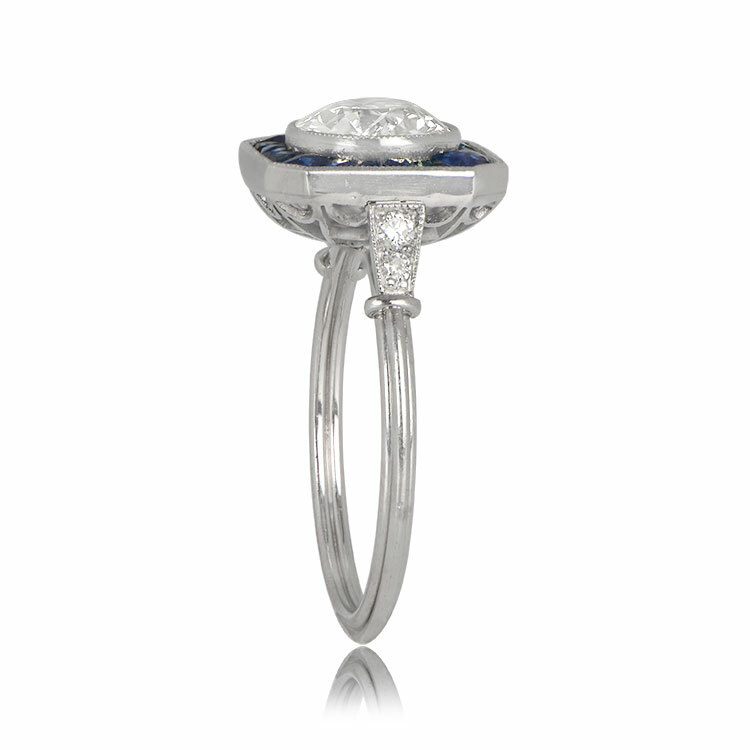 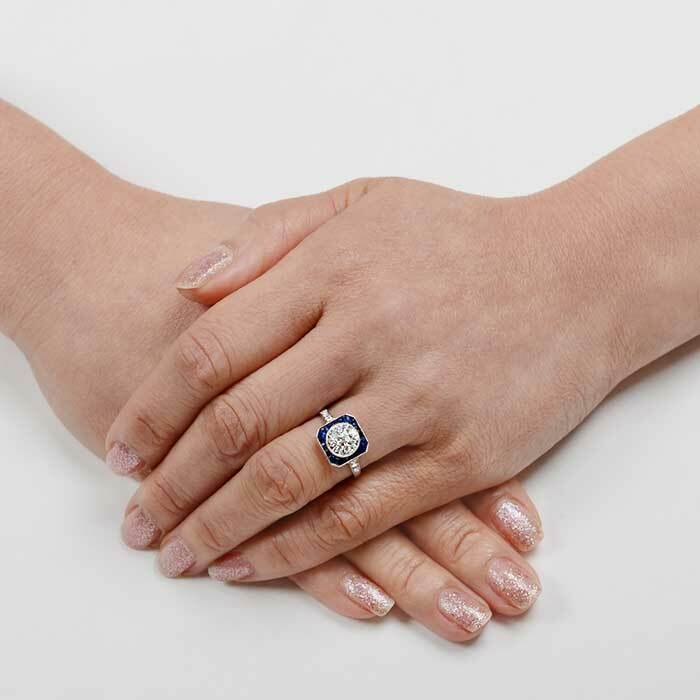 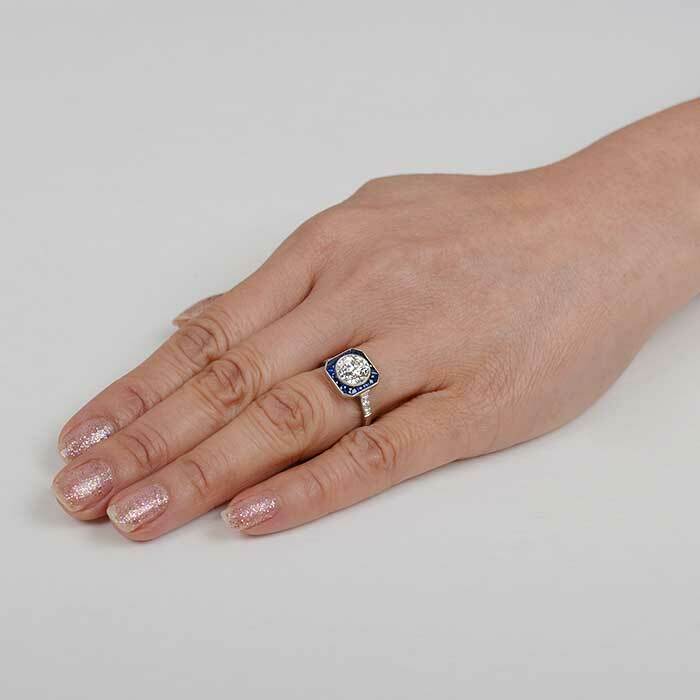 A lovely diamond and sapphire engagement ring, featuring an Art Deco Era motif and fitted in a handcrafted platinum mounting. 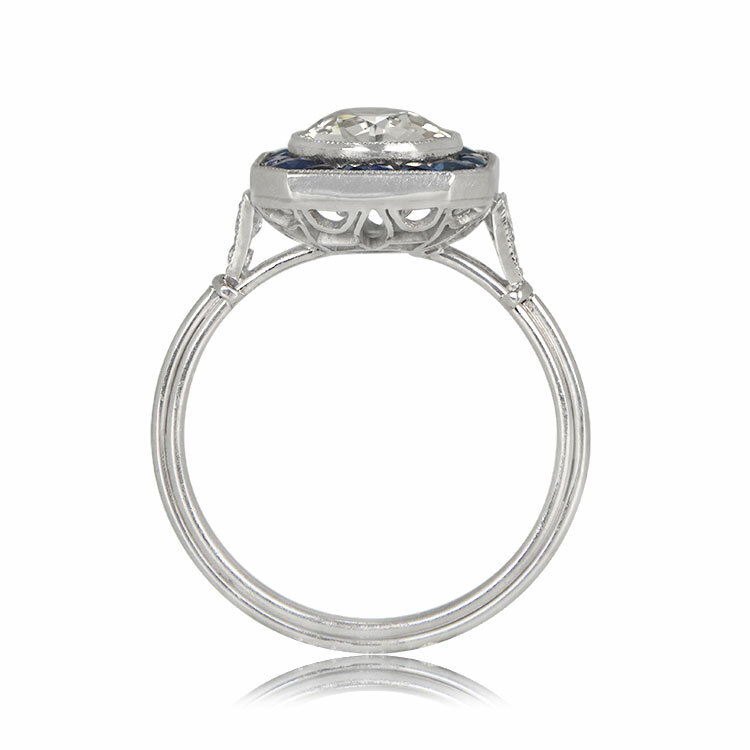 The diamond is surrounded by calibrated French-cut Ceylon sapphires, which in turn are framed by delicate milgrain. 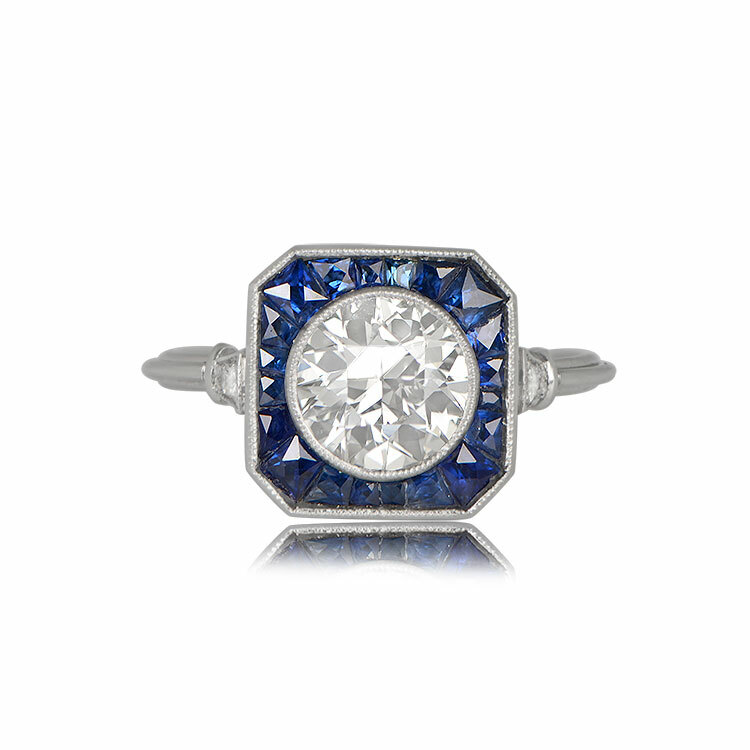 Diamonds adorn both shoulders. 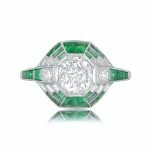 The center diamond is an old European cut diamond, cut circa 1920, and weighs approximately 1.42 carats, K color and VS2 clarity. 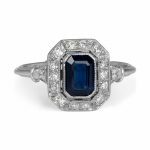 SKU: 12116 Categories: Diamond and Sapphire Engagement Rings, Vintage Engagement Rings - Contact us and request additional pictures.